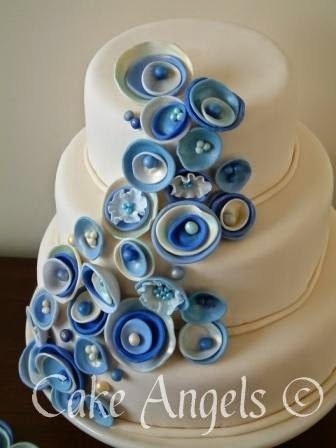 Inspired by their love of the Sea, to fit their Ocean themed Wedding, this Sea Shell Wedding Cake was created with love by the Cake Angels. 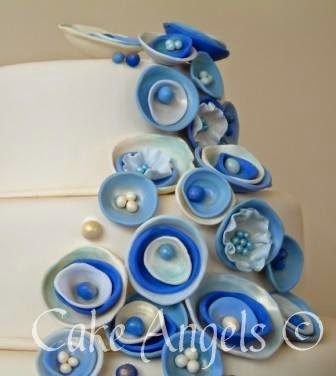 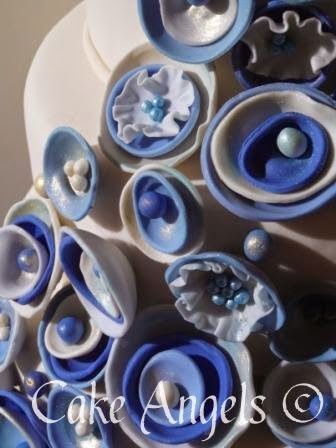 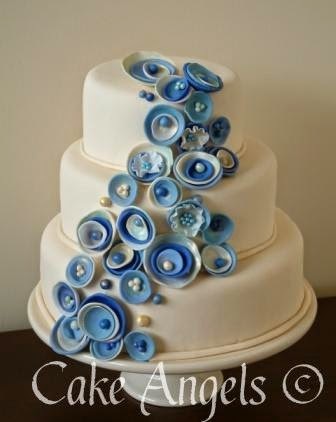 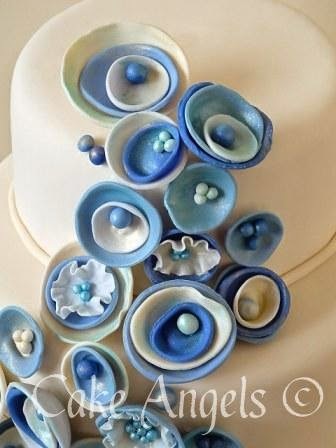 Beautiful Ocean Blue colours were used to mimic the colours of the Sea, and Sea Shells were used as the inspiration by the Cake Angels to create this unique Wedding Cake. 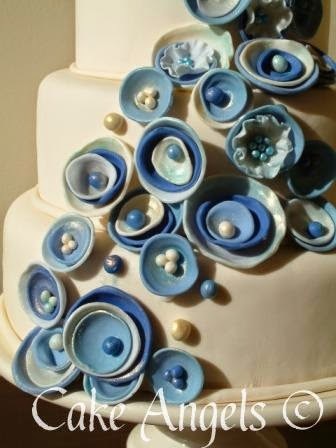 With subtle hints of Gold and Blue used to highlight the shells as if the sun was shining on them.